You believe there is a leader inside of you, and we do too. That belief will take you places, but to get anywhere you have to know where you are going first. Everyone is seeking out their purpose, but this noisy world makes it hard to perceive God’s will. We want to help you encounter God and experience Him in an environment without the distractions of everyday life to discover how He is asking you to serve. What Is the 40 Days Experience? Preparation to become a lifelong disciple-maker. Assistance in discovering and/or exploring God’s call on your life. 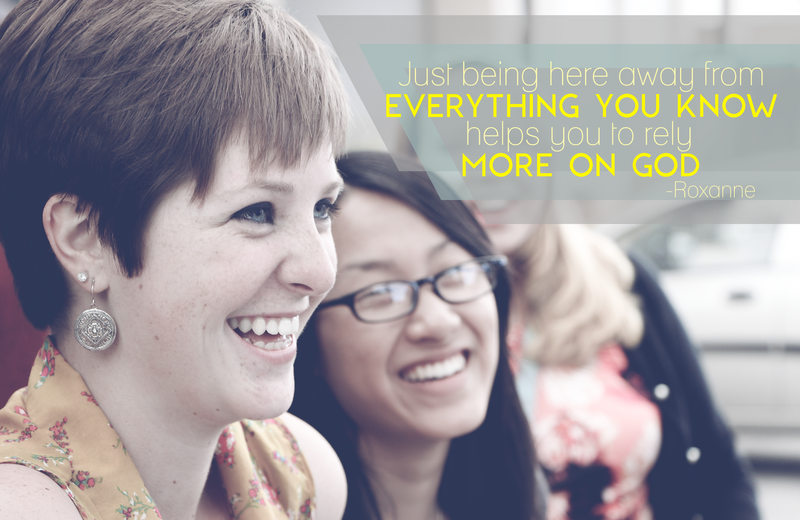 A safe place to explore a potential call to full-time Ministry. Partner for a time with Extreme’s 40/40™ Church Planters in church planting work. On June 30, 2014, a group of twenty 18-29 year olds, just like you, will come together to deeply experience the spiritual disciplines of prayer, fasting and service. By living together in community, the participants in this 40 Day journey will encounter God in ways that will change their lives forever. Are you ready to start this journey of praying, studying God’s word and serving with the 40/40 missionaries to plant churches in Ecuador? 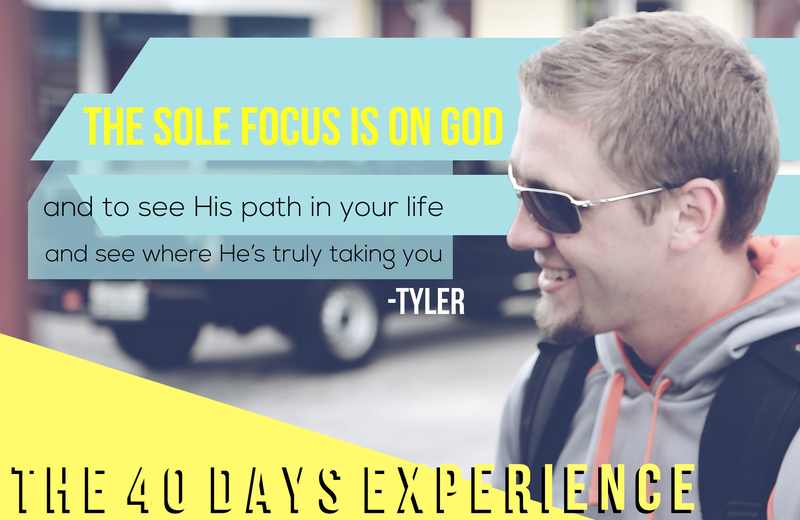 The 40 days Experience™ is designed with single young adults in mind. 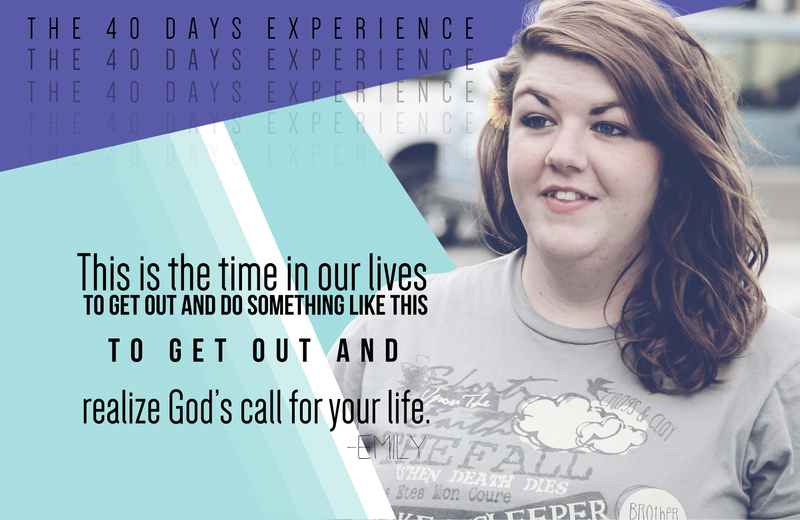 If you are 18-29 years old and desire to discern God’s call on your life, or simply want to grow into a deeper relationship with Christ the 40 Days Experience™ is for you. We would love to send you more information. Fill out the form below and we will get you all the details you will need to begin your 40 Days Experience™. See our FAQ’s on 40 Days.